Brilliantly located in the heart of Yarraville, Victoria, only moments away from restaurants and café’s precinct, within walking distance to Williamstown train station, local schools, the beach and walking paths. An exciting development was undertaken by Filandra Homes, consisting of 9 units, designed to maximise space, these light-filled 2 storey homes will truly impress those looking to live a carefree lifestyle. Phillip & Sandra were on the search for a limited mobility lift for their exciting new Yarraville project. 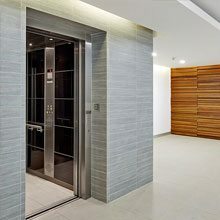 Choosing the elevator for disability access was a big decision – they only wanted the highest of quality and reliability to complement their planned quality finishes throughout the complex. That’s where the Easy Living limited mobility AS1735.16 lifts come in. Our elevators come designed with a range of elegant features that will make users feel safe and luxurious. 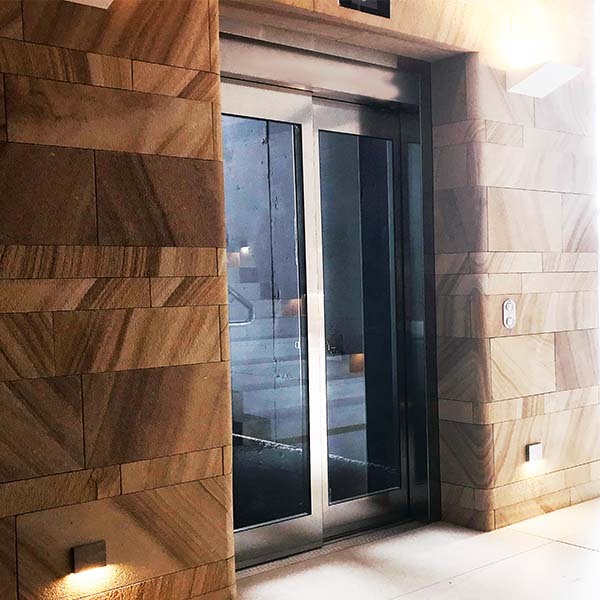 Filandra Homes wanted to be sure that the limited mobility elevator has what it takes to look after limited mobility users. The Easy Living range come designed, engineered and manufactured in Italy, so limited mobility users benefit from impressive European quality, finesse, and steadfastness. Built to the highest of standards, cutting-edge technology and highly advanced safety features, the Easy Living range of lifts stand out among the rest. Every Easy Living lift is manufactured to make sure that it meets and surpasses building safety standards, so that limited mobility users can relax and enjoy the ride without having to worry about safety. The lift was required to serve 3 levels in the development, Basement (car parking) Ground and First Floor. The Easy Living limited mobility lift can serve up to 6 floors or 12 meters of travel, with a maximum lifting capacity of 400kg. That equates to 6 passengers, so you won’t have any trouble transporting limited mobility users between levels swiftly. The use of roped hydraulic drive system means that service is quick and accurate, as well as being whisper-quiet so that the development isn’t disturbed by any loud or distracting noises. An added advantage is the control cabinet which measures 720mm wide x 360mm deep x 1500mm high, this was popped into the basement car park saving valuable floor space. The Easy Living limited mobility lift was fitted with standard finishes from the comprehensive range of colours, materials and textures to get the look, feel and atmosphere that Phillip & Sandra really wanted for their building development. 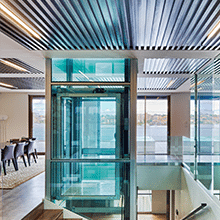 The elevator was then finished off with limited mobility finishes consisting of braille buttons, rounded handrail, full height light ray and key switches ensuring compliance to Australian Standards. With all this, Easy Living Home Elevators was just the solution our clients were after for their lifting and transport needs. Giving quality, peace of mind, safety and reliability. Design your very own lift with our online visualiser. 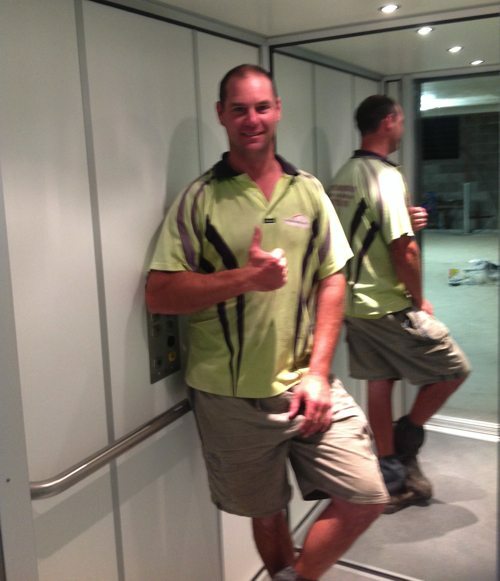 Easy Living Home Elevators has showrooms and displays in all major Australian cities including Sydney, Brisbane, Melbourne, Canberra, Adelaide and Perth. You have the opportunity to try our range of lifts before you buy – so drop on by to one of our showrooms today!